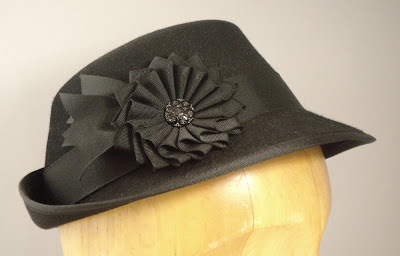 Another new hat style hot off the work table: Alex. 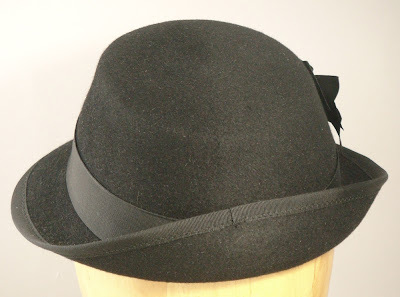 This vintage-inspired trilby style has a brim that flips up in back. 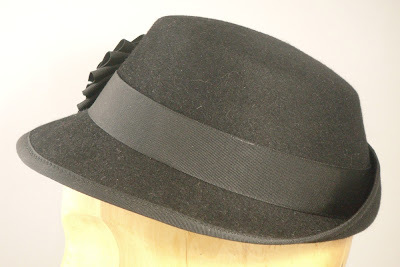 Made of soft fur felt, it's great as an everyday hat, if you want every day to be snazzy. 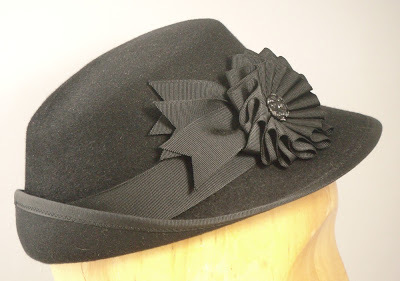 Made for smaller sizes, it fits head size 21-22.5. 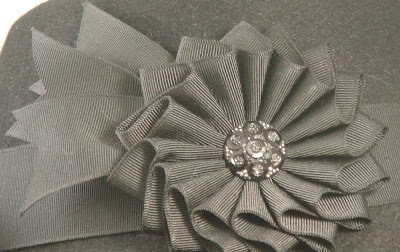 The sample shown here is in all black, but it can be made in many different colors, with matching or contrast trim. 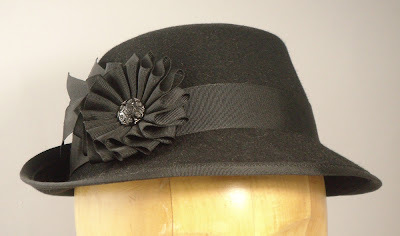 On sale now on Etsy.